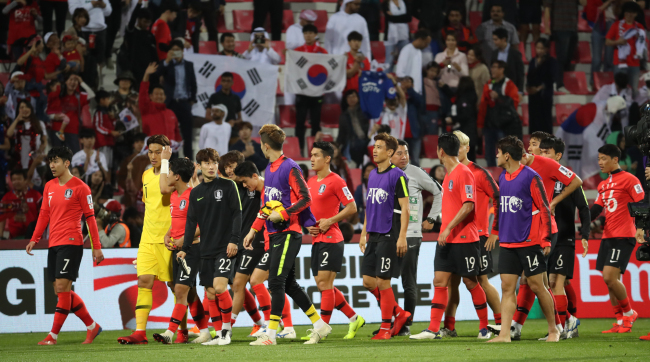 South Korea reached the quarterfinals of the Asian Football Confederation (AFC) Asian Cup on Tuesday with a 2-1 win over Bahrain in extra time. In Friday's quarterfinals, South Korea will play the winner of the final round of 16 match between Qatar and Iraq. Their match was scheduled to kick off at 8 p.m. Tuesday in Abu Dhabi, three hours after the start of South Korea's match.